Vinyl flooring, also known as	linoleum is most well-known for its versatility. While it is commonly used in kitchens	and bathrooms, it can be placed in any area of your home or business site	to create the unique look you desire. Vinyl flooring is highly resistant	to moisture and is comfortable to walk on. It also has a vast selection	of style options available for any application. At	Mo-Kan Carpets, Inc., we have been providing exceptional service and unparalleled workmanship	for more than 40 years. 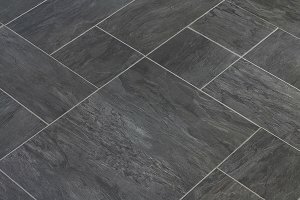 For a resilient and stylish flooring choice, choose	our high-quality vinyl! Visit our showroom in Kansas City, MO or	call us at (816) 472-4313 to speak with one of our vinyl flooring specialists. We look forward to serving you soon!